This wall mural artwork can be found behind the building of Edelweiss Cafe at Armenian Street. 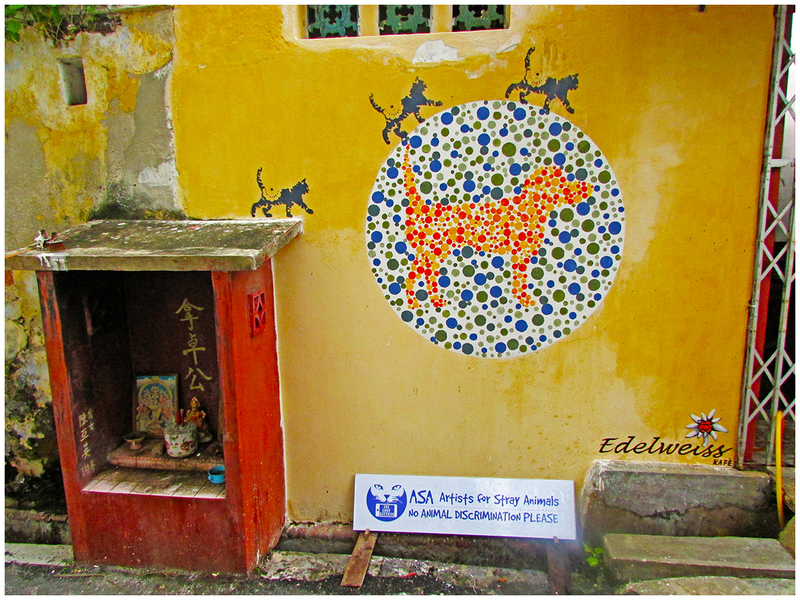 It is part of the 101 Lost Kittens project by local artist Tang Yeok Khang along with his two friends, Natthaton Muangkliang from Thailand and Louise Low from Kuala Lumpur (known as Artists for Stray Animals). For the art’s location, please click HERE for the map.